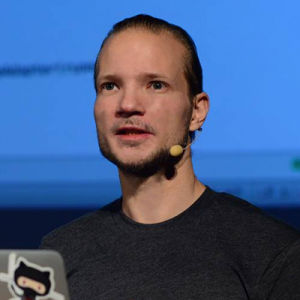 Christoph Engelbert is Technical Evangelist at Hazelcast. He is a Java Champion and passionated Java developer with a deep commitment for Open Source software. He mostly is interested in Performance Optimizations and understanding the internals of the JVM and the Garbage Collector. He loves to bring software to it’s limits by looking into profilers and finding problems inside of the codebase. Continuous Integration, Continuous Delivery, Continuous Monitoring! These days CI and CD are commonly used mechanics to achieve fast turn-around times for high-demand applications. Microservices architectures and highly dynamic envrionments (based on Kubernetes, Docker, …), however, come with a whole different set of problems. Systems, that not only appear and disappear dynamically (e.g. autoscaling), but most commonly tend to be written using multiple different programming languages, are hard to monitor from the point of view that matters: User Requests and User Experience. but the answer is simple; Continuous Monitoring (CM). In this session we’ll build a polyglot microservices infrastructure. A way to monitor and trace multi-service requests will be demonstrated using Instana’s automatic discovery system.